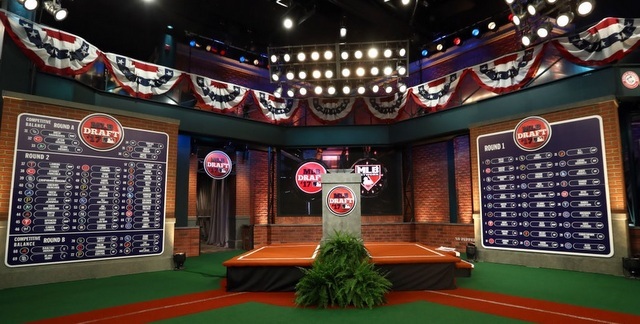 Now that we’re into April, the 30 big league teams are really starting to bear down and prepare for the upcoming amateur talent acquisition phase. The three-day first year player draft begins Monday, June 4th, and the international signing period opens Monday, July 2nd. Here are the Yankees’ bonus pool situations for the summer. Greg Holland, the last unsigned qualified free agent, signed with the Cardinals two weeks ago, so the 2018 draft order is pretty much set, aside from any forthcoming Competitive Balance Lottery pick trades. The Yankees, who hold the 23rd overall pick, neither gained nor lost any draft picks through free agent compensation over the winter. Every dollar over $125,000 given to a player selected after the tenth round counts against the bonus pool. The penalties for exceeding the draft bonus pool are pretty harsh. There’s a tax and you have to forfeit a future draft pick(s). No team has exceeded their bonus pool since the system was implemented in 2012 and I see no reason to believe that will change this year. The Yankees haven’t picked as late as 23rd overall since 2013, when they selected Eric Jagielo with the 26th overall selection. They didn’t have a first round pick in 2014, and from 2015-17 they picked either 16th or 18th. Here is MLB.com’s top 50 draft prospects, if you want to look over some players the Yankees could target. Our draft coverage will ramp up in the coming weeks. Nowadays there is a hard cap on international spending — the Yankees greatly exceeded their bonus pool during the 2014-15 signing period, other teams followed suit, and MLB decided to put an end to it — and there are three bonus pool tiers tied to market size. The Yankees of course fall into the large market/small bonus pool tier, and thus have $4,983,500 to spend internationally this year, according to Ben Badler. Teams are allowed to trade for additional international bonus pool space, which the Yankees did a bunch last year in anticipation of Shohei Ohtani’s free agency. When Ohtani declined to speak to the Yankees, they turned around and gave the money to other international free agents, like Raimfer Salinas and Antonio Cabello. Teams can trade for an additional 75% of their bonus pool and must do so in $250,000 increments. The Yankees can max their bonus pool out at $8,721,125 this year. Already the Yankees have been connected to top Dominican catcher prospects Antonio Gomez and Agustin Ramirez, so that’s where some of that $4,983,500 is going. The Yankees aggressively traded for bonus pool money last year because of Ohtani. They could do the same this year, though these trades tend to happen on a case-by-case basis when it comes to Latin American prospects. Teams will have deals lined up before adding bonus pool money. They won’t trade for bonus money then look for ways to spend it. Last year was different because of Ohtani.